During the holiday season, it’s always nice to drop a few dollars into the Salvation Army bucket outside your favorite shopping hub. Now, you can do the same when you shop online. The AmazonSmile program is a virtual donation bucket that will help you give back as you buy. AmazonSmile is an offshoot of the online shopping Mecca, Amazon.com. At smile.amazon.com, customers will find the same selection and low prices listed as on Amazon.com. The AmazonSmile program simply allows customers to automatically donate to charity with each transaction at no extra cost. A portion of your eligible purchase will go to the charity of your choice. Currently, users can choose from nearly one million charities partnered with AmazonSmile. When you click over to the AmazonSmile homepage, you can search and select the charity you wish to donate to. Then, at checkout, Amazon will donate 0.5% of the price of your eligible AmazonSmile purchase to your selected charity. 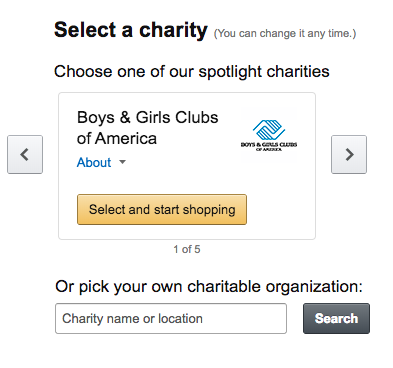 You also have the option to change your charity whenever you’d like by clicking “Change Your Charity” in the “Your Account” section on your AmazonSmile homepage. The homepage also lets you see how much you’ve donated and to what charity you’re currently giving to. If you already have an Amazon account, you’re ready to use AmazonSmile. All you have to do is go to smile.amazon.com, pick a charity, and start shopping. Just make sure to return to AmazonSmile, instead of Amazon, the next time you shop, to ensure that your donation goes through. 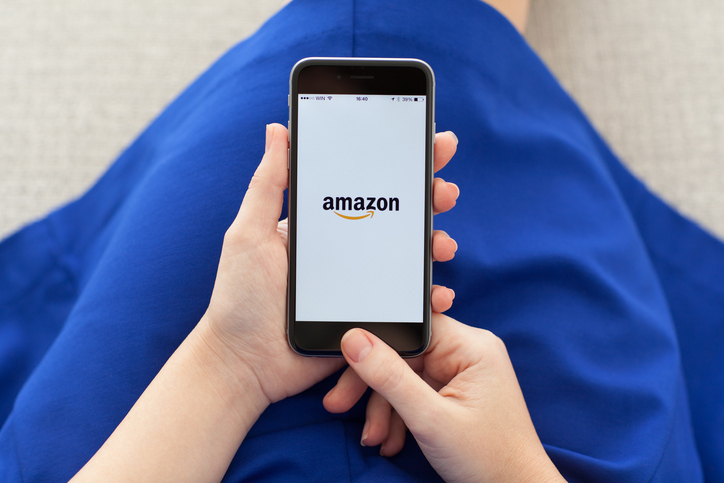 This may be old news to Amazon users who have been using AmazonSmile since 2013. But by continuously spreading the word, we’re helping people give back to charities they care about. ‘Tis the season, after all! Although, you can use AmazonSmile year-round. If you were planning to shop on Amazon during this holiday season anyway, you might as well give back as you buy. It’s easy to do and makes a huge difference to those who are in need.